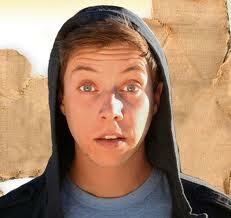 Grant Cotter is a stand-up comedian, writer and host from Catalina Island, CA. A staple in the LA comedy scene, Grant is one of the stars of MTV’s unhidden cameras show, Jerks With Cameras. Earlier this year, he made his TV stand-up debut on BounceTV’s Off the Chain and OC Weekly named him one of the Top 5 Comics to Watch. Grant recently filmed a supporting role in the upcoming feature film Spare Change, produced by the minds behind Weeds and Orange Is The New Black. He is a three-time winner of The Laugh Factory’s Fresh Faces competition and is the only comedian to perform on the Vans Warped Tour. Grant is known for his high energy, quick wit and rapid fire delivery. He had his own segment on Marc Cuban’s AXStv entitled Grant On The Street and his stand-up can regularly be heard on LA’s KLOS ‘5 O’clock Funnies’.